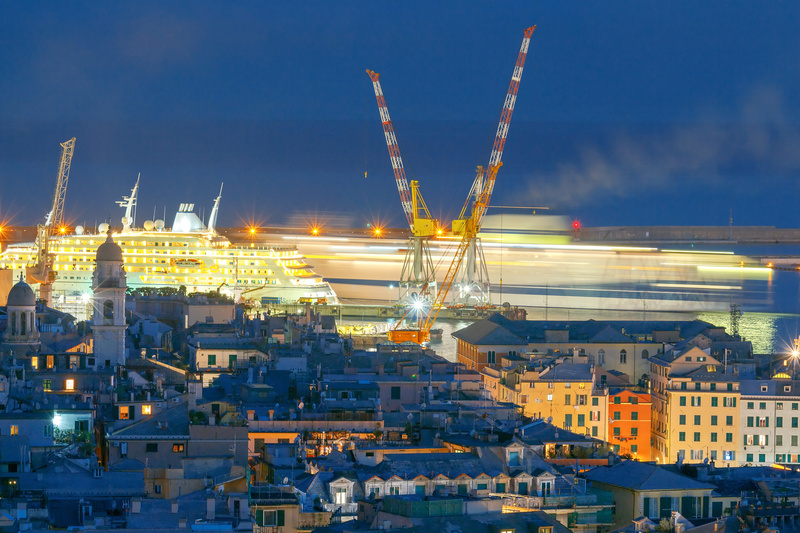 Passenger traffic in the Port of Genoa is regularly active. Here you can find all the information about the changes in traffic flow of cars and trains. 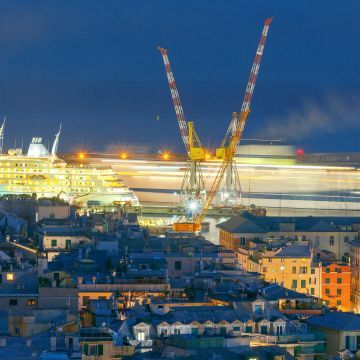 Genoa's Ferry Terminals for cruise ship traffic, Ponte dei Mille and Ponte Andrea Doria, are located just a few minutes from both the Genova Piazza Principe railway station and the Old Port, the city's main tourist area, nestling within the historic centre. Not far from the Cruise Terminal, there are Terminal di Calata Chiappella, Ponte Caracciolo e Ponte Colombo, designed as Ferry Terminal. At the Ferry Terminal, ships arrive from and depart for the main ports of the Mediterranean: Olbia, Porto Torres, Palermo, Barcelona, Bastia, Tunis and Tangier.